From the beginning of 2016 year, infant mortality rate has decreased by 20% in Primorsky region. The head of the Public Health Department， Andrei Kuzmin， said that according to Federal State Statistics Service, the infant mortality rate per 1,000 live births in Primorsky region decreased by 20% - from 8.0 to 6.4 ppm. "This statistics is very good, but our task is to make this index even lower," - said the head of the department. Plan of action was defined by Primorsky region Administration in order to reduce infant and maternal mortality in Primorsky region. The opening of modern perinatal center two years ago helped to reduce infant mortality. A central monitoring station was installed in this center this year, this station helps to constantly monitor the condition of the patients in the infant intensive care unit. 6083 infants were born in the center since its opening and 18% of them are premature infants. In addition, eight interdistrict obstetric and gynecological centers have been opened in Primorsky region in order to serve the inhabitants. Here babies with abnormalities and infants born prematurely are being nursed in special wards. Modern perinatal technologies are being implemented in there. Primorsky region neonatal center was opened on the basis of “Regional Children's Clinical Hospital №1” in July of 2016. Medical specialists of this center regularly visit different districts of the region to provide counseling, diagnostic and medical help. Vice-governor of the region, Pavel Serebryakov, informed that creation of another perinatal center in Arsenyev city is also in the plans. 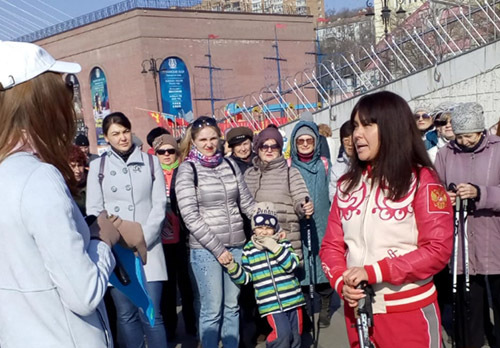 "Second perinatal center in Primorsky region is needed to provide medical help to the infants and pregnant women of the northern territories of the region." - added Pavel Serebryakov.